In the wake of last night's mass shooting in Las Vegas, some of the incredible stories of heroism and survival are starting to emerge. One of the people injured in Sunday night's mass shooting at the Route 91 Harvest Festival was UNLV Ice Hockey assistant coach Nick Robone. On Monday, the team issued a statement saying that Robone was out of surgery to remove a bullet lodged in his chest, and that he is recovering in the ICU. According to the team, Robone was shot in the chest, and although the bullet missed his lung, it still bruised it. Robone will remain in the hospital for the near future, but is expected to make a full recovery. Thankfully, none of the players were injured in the shooting. 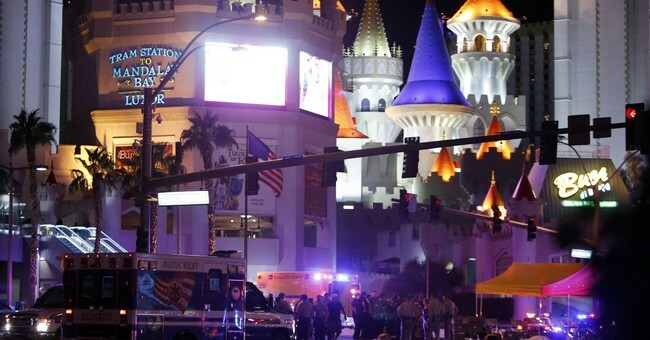 According to the Las Vegas Review-Journal, Robone's brother Anthony saved his life and dragged him to police cars so he could be transported to the hospital. Anthony noticed blood coming from his brother's mouth and sprang into action. As bullets flew around them, the group dropped to the ground, but Nick was hit in the chest, said his father, Tony Robone, in a phone conversation Monday morning. Anthony, 25, saw blood coming out of his brother’s mouth. He and the others dragged Nick to some police cars, where they stabilized him as best they could, then waited for emergency units to take him to the hospital. Anthony “was Nick’s guardian angel last night,” Tony said. So far, there are 58 people reported dead and more than 500 injured.